Child support, also known as child maintenance, is the financial obligation that parents have to support their child as well as to help with the expenses after a divorce. The parent who does not live with the child is required by the court to pay periodic payments, particularly if the custodial parent doesn’t have a way to support the child. If you have custody of the child, the court assumes that you will meet the financial accountability. The National Center for Health Statistics (NCHS) current analysis states that around 40% of first marriages result in divorce. For consecutive marriages, the number increases. The child support blueprint is administrated by the Inland Revenue Child Support (IRCS), who collect money from the parents who are not living with their children. The child support arrangement is operated under the Child support Act 1991 and it ensures all the obligations and requirements are met and maintained. Once the court tells you to pay child support; you will make the payments until the child reaches adulthood, is in active duty military or until the court declares your child emancipated. 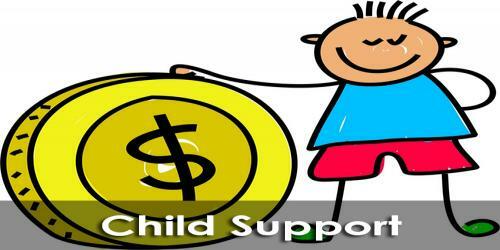 In cases where the child has special needs or a disability, child support can continue past childhood. Nonetheless, the agreement could be terminated if the parent allows for adoption of their child or if both parents agree that they will no longer provide support. Single parents should research and understand child support and every parent must contribute financially to the upbringing of their child.